5th A@M marked the 1st of downhill mountain biking championship in North-East India and it was a great success at that. 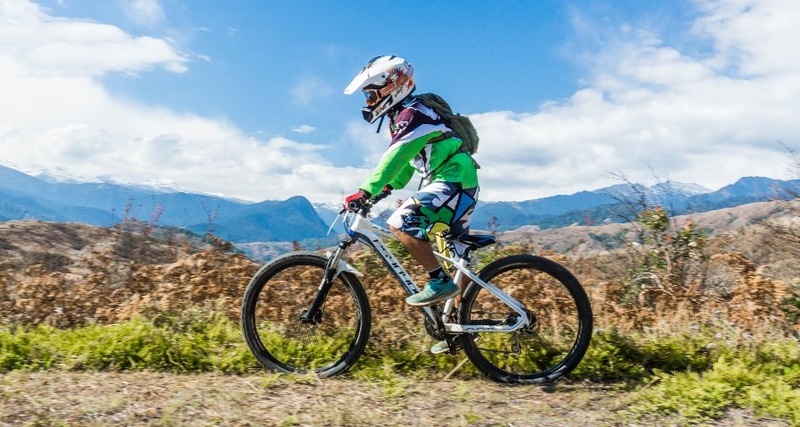 Boasting of the longest and best downhill track in India for mountain biking developed by ‘Arunachal Tourism Development Company', it is already attracting a lot of attention from bike enthusiasts all over India and abroad. A new track is already in pipeline for 2018. With creation of bigger, longer and more difficult tracks, the 2nd Edition of this Championship will only get bigger. The track calls – test your limits! 1. Riders are supposed to bring their own bikes and safety gears and a Sleeping bag. 2. Transport to and from Guwahati - Mechukha; fooding and accommodation at the venue, is limited only to the first 40 registered riders. Any riders seeking to register after that shall manage transportation, fooding and accommodation at their own expense. 3. The management reserves the right to shortlist riders for the main event based on the seeding run. 4. Only registered racers may participate in the event. An official number plate must be displayed by the racer which will given by the management. 5. A competitor must wear a properly secured downhill bike helmet (full face) during competition as well when pre riding. 6. If somebody is hurt on course it is your duty to inform the course Marshall. No race is more important that you can't help someone out. 7. Competitors must wear proper riding attire - shirt, shorts and fully enclosed shoes. 8. Each competitor is responsible for having their bike in good operating condition. All Competitors must be self sufficient. All repairs during a race must be performed by the individual racers. Tools and spare parts used in a repair must be carried by the racer. No off-course assistance is allowed. 9. Downhill mountain biking is a sport with high risks involved. Accidents and injuries are unpredictable and it is your responsibility to take care of yourself at all times. The management won't be held responsible for any such untoward incidents though we will provide medical support at all times during the event. 7. The event is part of a larger festival and there will be other participants in different sports. Tourists and locals will also be present. Therefore all competitors are requested to behave themselves and maintain discipline. The management won't be held responsible for your bad behaviour and you will be disqualified from the race and may also be asked to leave the event on your own.